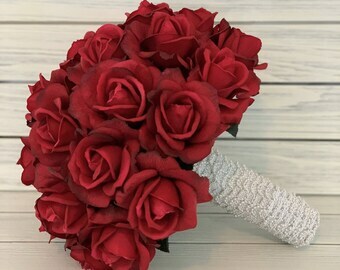 GABRIELLA. 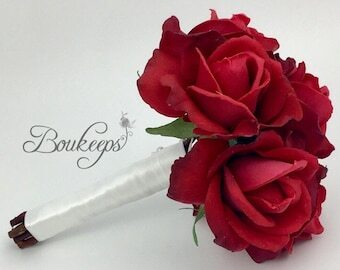 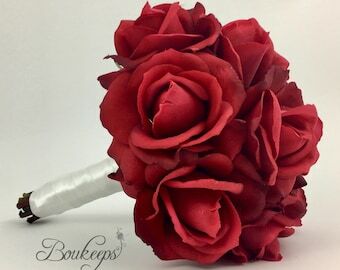 Silk flower bouquet, Pink rose, Babys' breath, Wedding and bridal accessory. 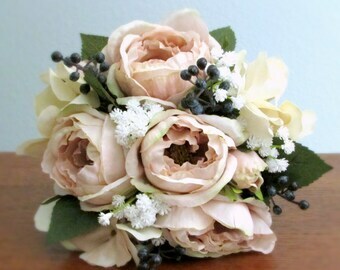 Petite Blush Pink, Navy Blue, Cream, and White Silk Flower Bridal Bouquet, Roses, Hydrangea, Baby's Breath, Berries, Spring, Summer, "Lori"
Emily - An arrangement of Real Touch red roses and baby's breath. 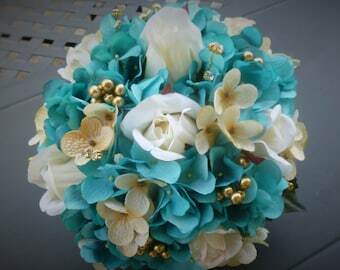 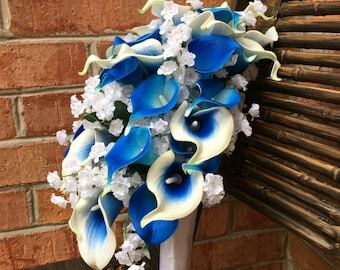 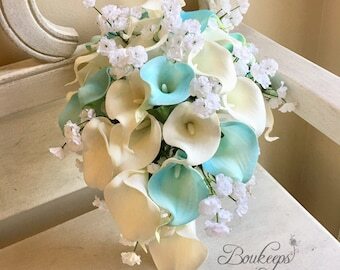 Boho wedding bouquet. 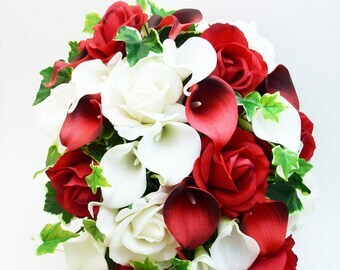 Real touch anemones, silk roses, gladioli, berries and lush foliage. 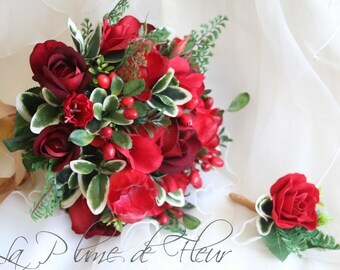 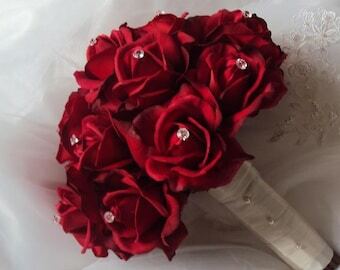 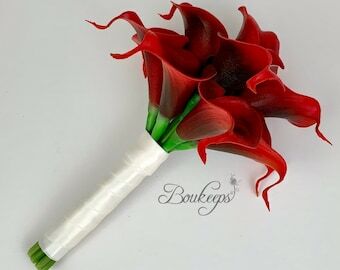 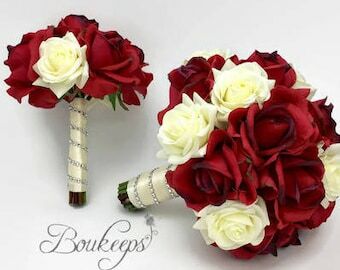 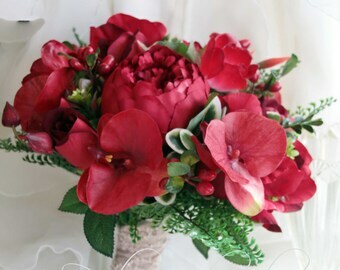 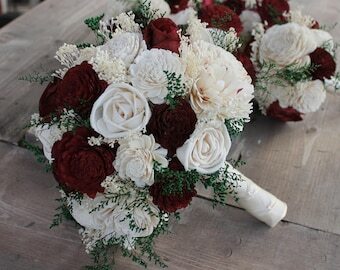 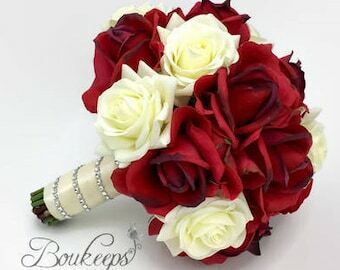 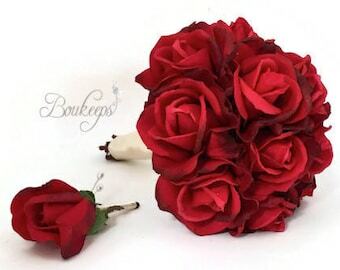 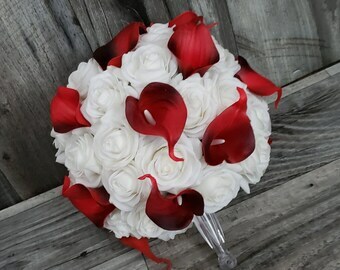 Real touch silk flower red bouquet.